Access into deeper Mursi territory is no easy task. 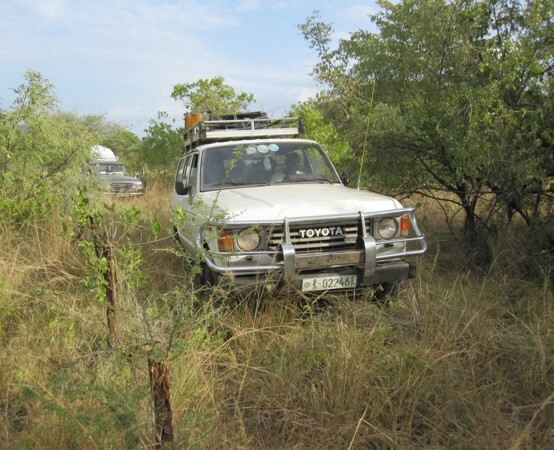 Confronted with an absence of roads and thick savannah vegetation, notably the mercilessly sharp acacia bushes, 4x4s can only venture a limited distance with a slow advance in tail of machete clearance. 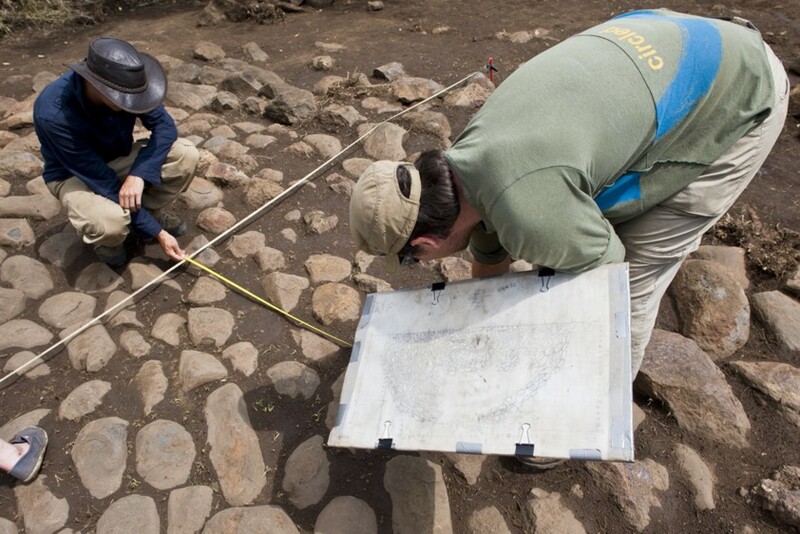 Owing largely to the vegetation, pedestrian survey for potential archaeological sites is the most productive means of investigation, often informed by the great depth of local knowledge. On the back end of a 4-year drought in 2009 the vegetation was low and thin, and the majority of the sites were identified during that fieldwork season. The following year, after rejuvenating rains, the grass was high and thick, making visibility particularly challenging, but not insurmountable. Survey of areas recently torched under managed conditions (an important seasonal practice of agri-pastoral land management) is also fruitful, although great care is required since smouldering embers can remain dangerously hot and often hidden from the surface. 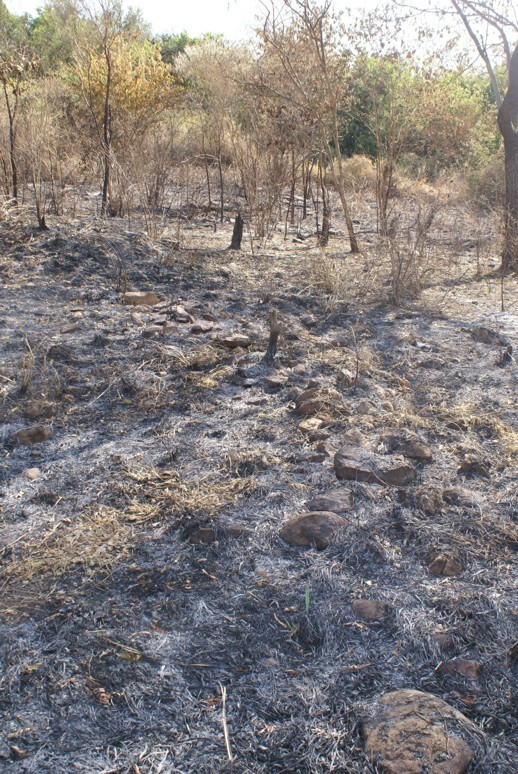 The picture to the right shows an ancient stone enclosure or compound that has recently been exposed by fire clearance. Potential sites are logged using a GPS locator. Since much of the work is on foot in 40+ degrees centigrade we use equipment that is mobile and light. The Suunto X10 Military watches have been particularly favoured, and can locate points to sub-metre accuracy as well as being relatively cost-efficient. All the sites that are identified through survey require thorough recording. Hand-drawn planning has been utilised with expediency, having been targeted only for sites that have been subject to detailed excavation. 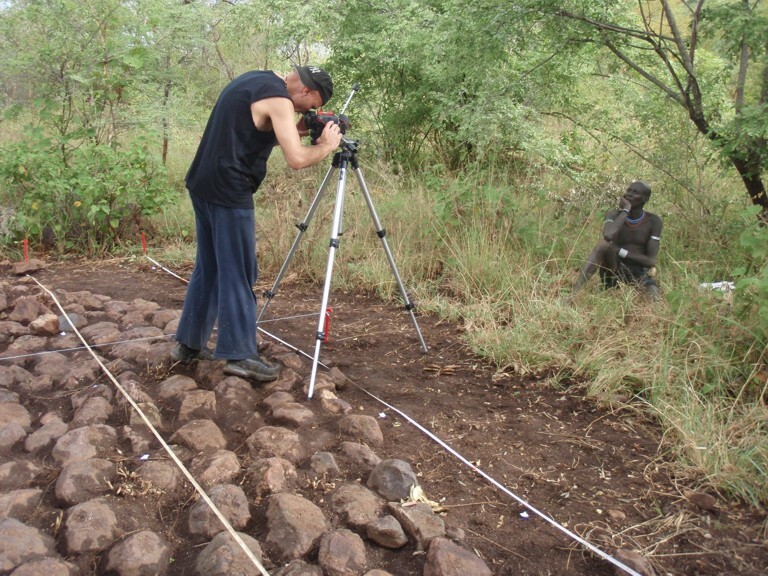 Wherever possible photogrammetry has been implemented to enable digital post-field planning. We have experi-mented with photo-grammetry in differing ways, but find that a securely located baseline with fish-eye photography taken at 50cm vertical and horizontal intervals works particularly well. Whilst in some instances this can produce a great number of photographs, it does however allow for accurate stitching with absolute minimal ‘bend’.